The first step is to verify that the bar code scanner is connected to your computer via USB. In a Windows OS Environment you will only see the bar code scanner in the Device Manager. 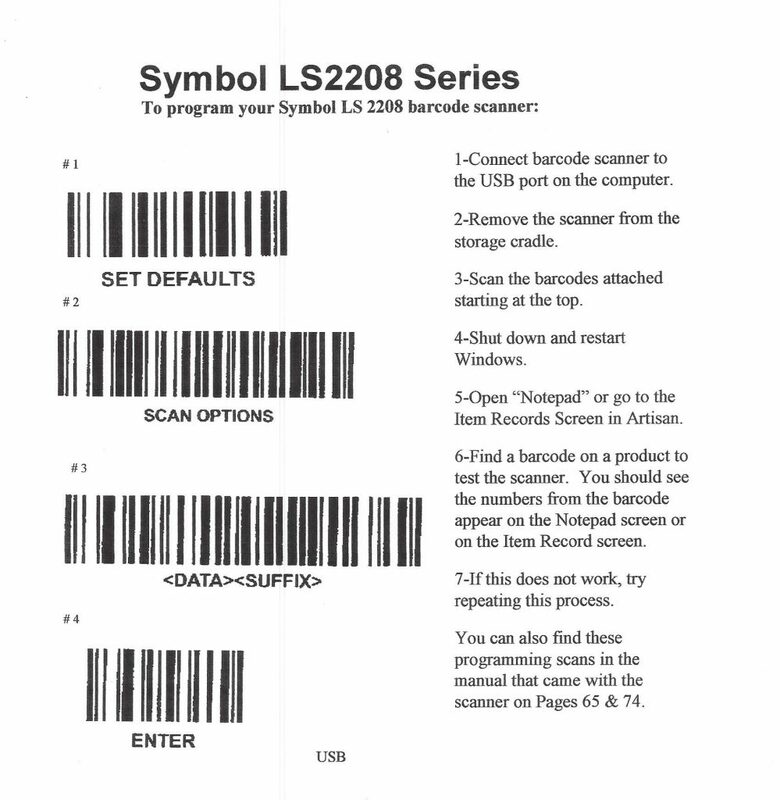 Make sure that the Bar Code Scanner Port is set to “Keyboard Emulation” and Scanner Model “Generic Scanner” . Artisan can also be set up to look up customers by ID’s and reward cards you may issue. The “Any Scan With Exactly” should be checked and you will need the number of characters (that aren’t duplicated on all rewards cards [this would be the Starting with Prefix(ex)]. For example if you have rewards cards that all start with 9000000 and then have 8 characters after that differ you would have Exactly “8” digits and starting with Prefix (es) “9000000”. These rewards numbers would then be entered into the customer record on the License and ID’s tab. UPC Codes, world-unique codes assigned by the manufacturer, are 12 digits codes with three parts. The system digit, the middle digits, and the last check digit with a couple of exceptions. 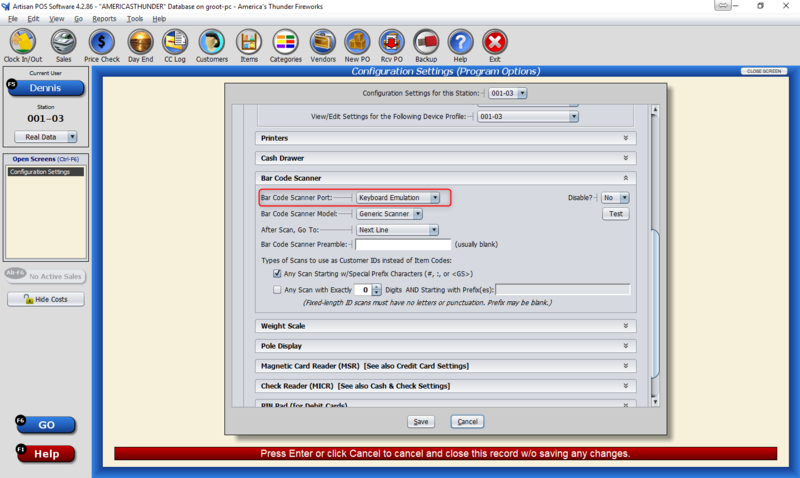 The settings defined in Artisan need to match the format of the UPC codes. There are cases where the check digit isn’t transmitted so only 11 digits are scanned, which may differ from your Artisan settings resulting in a bar code not matching. In this case, Reprogram your scanner by scanning special bar codes provided by the manufacturer.